Only 3 weeks left for developers to submit their solutions to the M2M Challenge. Healthcare and Security are two fields in which new solutions and technologies help improve the quality of life. Machine-to-machine (M2M) communication is key and new developments and innovations in both industries increase the data flow resulting in safer environments and better patient care. The possibilities for new solutions are virtually endless. Healthcare can benefit greatly from M2M communication. A report from IDC states that healthcare organizations intend to use M2M to identify patients/members in need of care, for clinical outcomes, to measure and manage performance, and for clinical decision-making at the point of care. Telehealth is changing the way diseases are diagnosed and treated. It allows doctors to monitor and track patients, in house or remotely. It also helps patients to manage their health outside of hospitals etc., by monitoring their own condition. Both, accurate and real-time information facilitates taking appropriate action – like a chip in the top of a prescription bottle, connected to the patients mobile and reminding him to take his pills, or a gym connected to a hospital, sending data about a patient such as frequency and intensity of his workouts. The security industry was one of the first to adapt M2M communication. With sensors and networking technology being built in almost every device around the world, these can be transformed into security gadgets. Since M2M devices communicate with each other, they are able to sound an alert or alarm automatically, taking out human intervention. Take a smoke alarm for example. If no one is around, no one will call the fire department. If this smoke alarm is equipped with a wireless connection, it can alert the fire department and send an emergency call to the owner’s smartphone. Obviously M2M is also used for real-time surveillance. With special software, videos can be relayed only when people appear in the frame, solutions can be deployed with more flexibility. But this is not the only area M2M can improve security; there are a lot of ways one being the Natalia Project for example. PFO Technologies developed this GPS bracelet for Civil Rights Defenders, making the Natalia Project the first assault system for human rights defenders at risk. Defenders wearing the bracelet are able to send out a distress signal to Civil Rights Defenders and onto social media platforms, allowing people all over the world to immediately get involved and put pressure on regimes. A totally different security product using M2M is ICEdot’s Crash Sensor. Mounted on a helmet, and paired with the ICEdot app on a smartphone, it triggers an alarm and sets off an emergency countdown, notifying emergency contacts and sending GPS coordinates, in case of an accident. ICEdot and other interesting companies will be showcasing their innovations at one of the largest specialist trade fairs for safety and security, the A+A in Dusseldorf, as part of the Wearable Technologies Show Safety & Prevention. Another exhibitor will be Limmex. The Swiss-based company won last year’s M2M Challenge. The overall winner developed a stylish emergency watch, enabling the wearer to call for help at the push of a button and, thanks to the built-in speaker and a microphone, which allows speaking to the selected emergency contact. Another contestant of the M2M Challenge, MI5, developed a real-time surveillance solution. MI5 Security for example developed a mobile first, cloud-based surveillance management platform. The security service iDefigo is designed to communicate with a new family of devices, such as cellular cameras, that are self-powered and can be positioned anywhere, allowing customers to manage their monitoring and surveillance at anytime from anywhere. In addition to the categories Healthcare and Security, the M2M Challenge is looking for ideas and innovations in Mobility, Energy and Consumer Electronics & More. 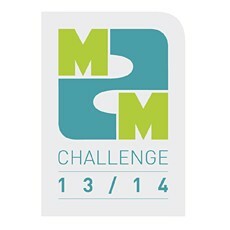 Developers can submit their solutions at m2m-challenge.com until November 30th 2013. Download the M2M Challenge guidelines for participants. The M2M Challenge is the leading award in the field of machine-to-machine (m2m) communication. The innovation competition recognizes and awards new, cutting edge, and revolutionary m2m solutions. Developers as well as users are invited to register their solutions in one of five categories: mobility, energy, security, healthcare, and consumer electronics & more. An international panel of experts will then evaluate all entries regarding their innovative character, business potential, and usability. Innovative m2m solutions can be submitted online at www.m2m-challenge.com by November 30th 2013.